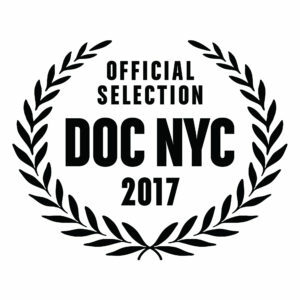 Father’s Kingdom, the MAJ Productions documentary that was called “One of DOC NYC’s best,” has just been selected for the 2018 Big Sky Documentary Film Festival in Missoula, Montana. Father’s Kingdom, which explores the fascinating life and groundbreaking work of International Peace Mission founder Father M.J. Divine, fits the theme perfectly. Divine crossed racial lines, fought for civil rights before there was a movement, and advocated for gender, racial and economic equality at a time when such equity was considered, at best, a radical concept. The documentary, Feinberg’s latest, follows Divine’s rise to prominence, examines his influence and achievements, explores his work to create the Peace Mission, and offers a glimpse into the daily lives of some of its few remaining members, most of whom live at Woodmont, an estate in Gladwyne, outside Philadelphia, Pa.
At its heyday during The Great Depression, there were some 150 Peace Missions spread across the globe — most of them in the United States. Divine preached modesty, economic self-sufficiency and rejected the idea of welfare — a powerful message to a country in the grip of financial turmoil. Meanwhile, Divine also was calling for reparations to be paid to descendants of slaves and arguing in favor of integrated neighborhoods and schools. He drafted an anti-lynching petition to Congress that received a quarter of a million signatures, and he brokered a deal that ensured desegregated Coast Guard housing in New Jersey. In fact, Divine has been called one of history’s most important civil rights figures, but has largely forgotten — dismissed as a con man and ridiculed because he called himself “God.” His religious beliefs and work toward equality led to several arrests, but his movement only grew as a result of the controversy. Big Sky Documentary Festival organizers will be announcing a schedule and offering tickets soon. In the meantime, you can see the Father’s Kingdom festival page here. The Big Sky Documentary Film Festival (BSDFF) is the largest documentary film festival in the American West. It’s held every February in Missoula’s historic Wilma Theater and nearby venues.